We’re saying goodbye to the sun in October. However a fashion forward colour from summer is here to stay for the Autumn season. Yellow is brightening up those dark winter days with a pop of vibrant colour. Enjoy! A showstopper statement piece in both look and feel. 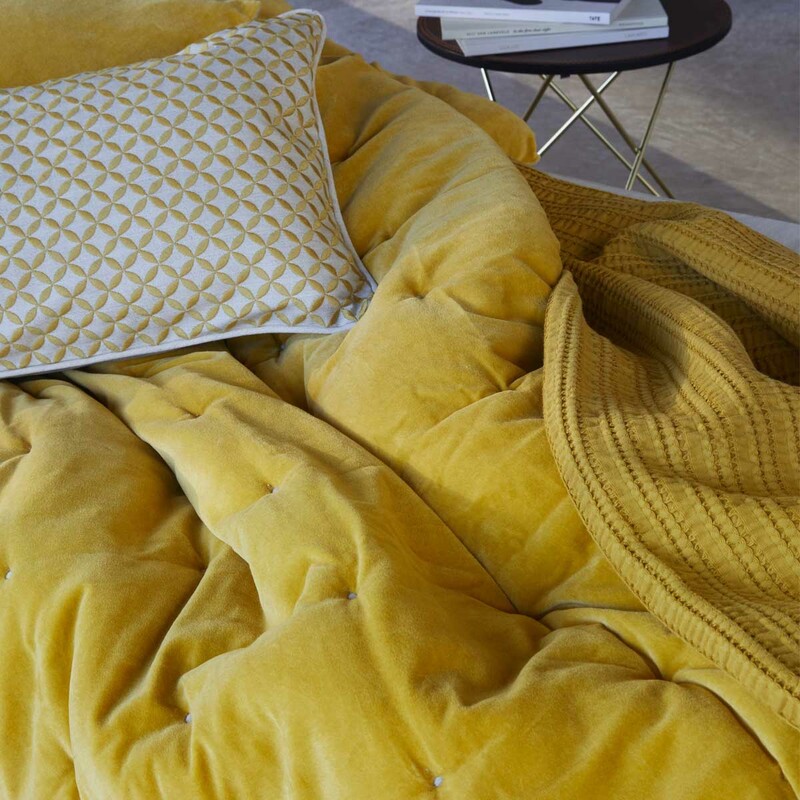 Made with 100% cotton with a soft velvet front and sustainable linen reverse, add that ouch of elegance your bed craves for with the coveted Jaipur throw in Turmeric. 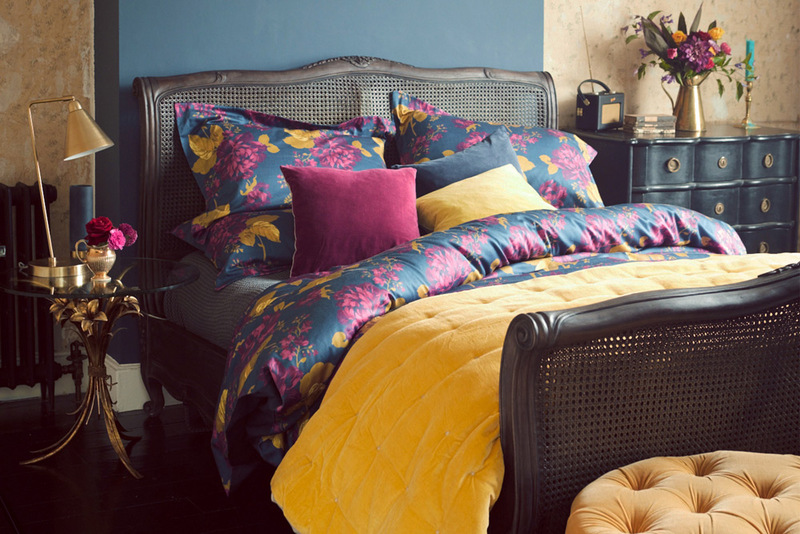 With subtle pops of yellow detailing within the beautiful floral design, the Anya bed linen is subtle way to introduce the colour of the month into your bedroom. 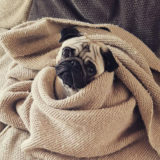 It is also the perfect companion for the Turmeric Jaipur throw. 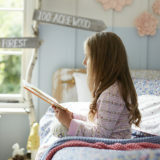 A very popular bed linen set and we’re sure you can see why. 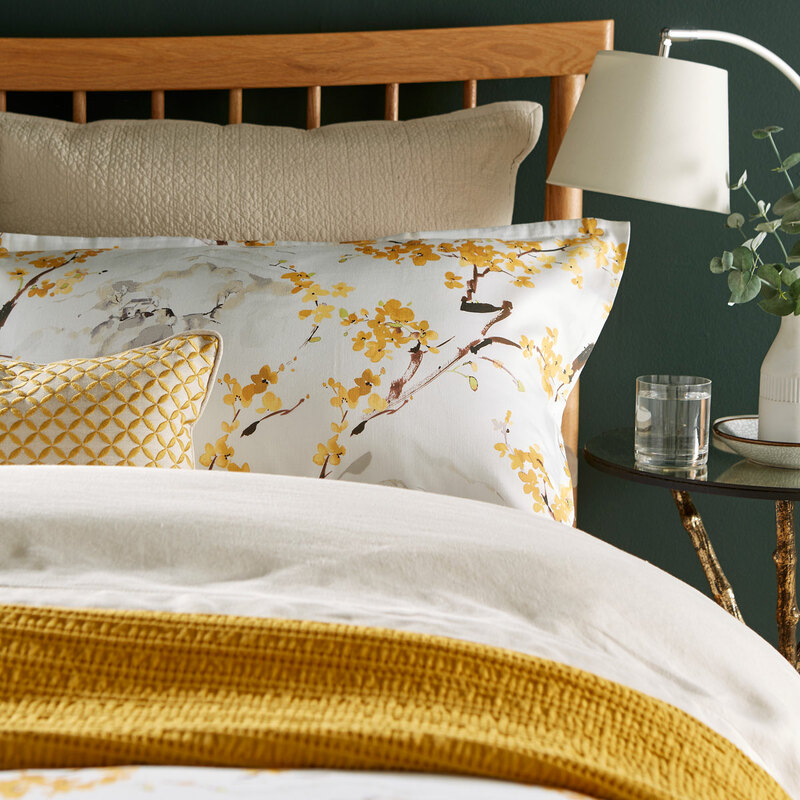 Blooming with ochre Japanese inspired blossoms, this bed linen will send you to a place of tranquility and calm. 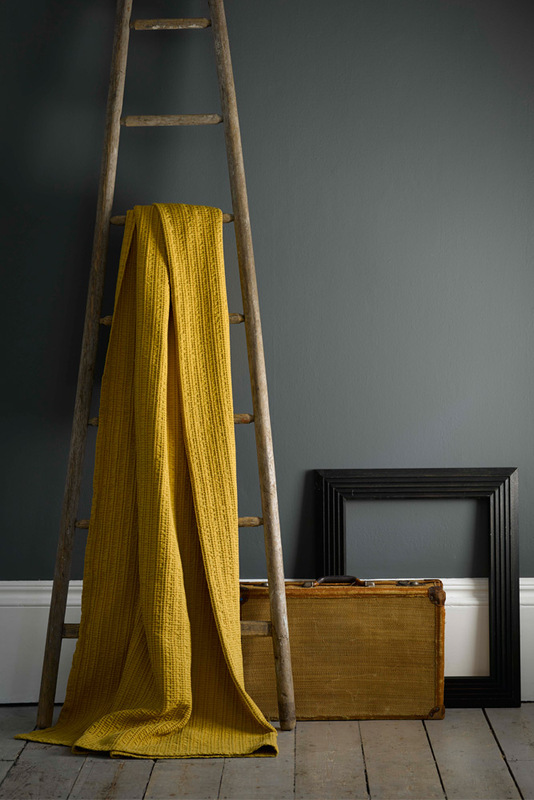 Complete the look and add those much needed autumnal layers with the Atlas throw in Chartreuse. 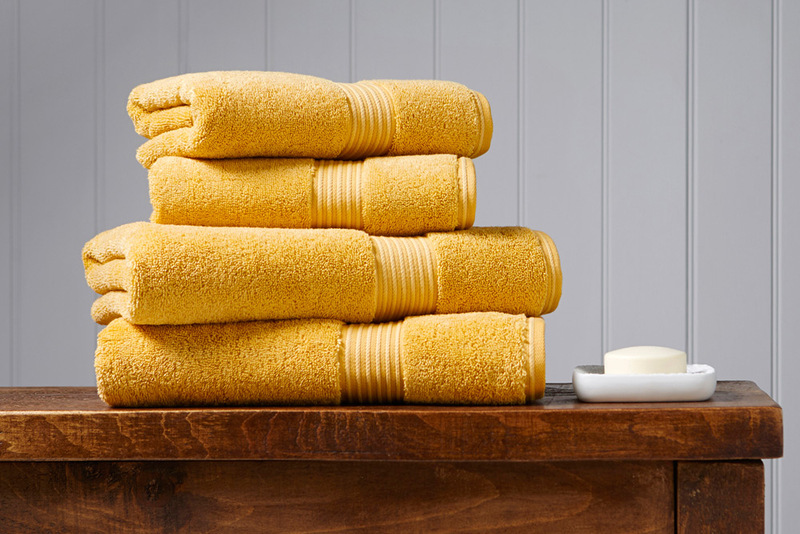 Bring back that 5* holiday feel to your home all year round with our Samba Sun Yellow Supreme Hygro® towels. 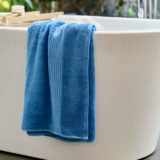 Fun and vibrant, this collection will certainly transport your bathroom to warmer climates. Fancy something a little more mellow Yellow? 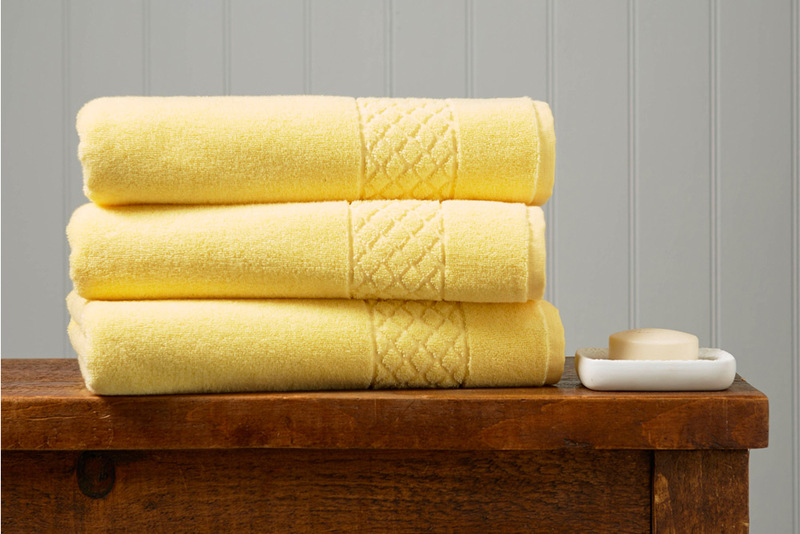 Our serenity towel range in Buttercup is the one for you! 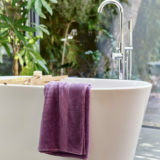 Whilst not being as bold as our Samba Sun Yellow it will still uplift your bathroom with a colour nothing short of fun.